The Holidays are right around the corner and that means that speedy, hassle free shipping will be top of mind for a lot of small businesses. Wouldn’t it be nice to have some Holiday shipping tips to make that a reality? No worries, we’ve got you covered. Learn from the masters of shipping, United Parcel Service (UPS), as Tom Langa, UPS Small Business/Occasional Customer Marketing Manager, joins Anita Campbell to offer shipping tips so your Holiday season will be the most painless and successful yet for your small business. (1:38) Can you tell us a bit about yourself and your background? How did you end up at UPS? (3:03) How can small businesses prepare for the Holiday rush? It starts earlier and earlier each year so what should we be doing, Tom? (4:55) So are UPS drivers up all night? How do they get things delivered so fast? (5:38) What do you recommend that we do when it comes to shipping? How do we get prepared and how do we carry that out? (7:44) Can you explain why NOT to use masking tape and newspaper as packing materials? (9:30) You mentioned an offering UPS has to track shipping. Can you tell us more about that and more about creating an account with UPS? (10:55) What is the advantage of having an account with UPS? Is it that you don’t have to fill out forms each time and input credit card information? Can you describe the benefits of having an account? (12:44) So these are efficiency tools and a benefit of a result of using the site and having an account with UPS? (13:06) How does UPS help you in a situation where you’re standing in line with loads of boxes and holding others behind you up? (14:56) I assume you can arrange for picks ups at your place of business? (16:06) So are you saying that if you use the technology, it will automatically alert the driver to pick up the package? You don’t have to schedule a pick up, is that right? (17:20) Is there anything else we can do to make sure that gifts or packages arrive in time? 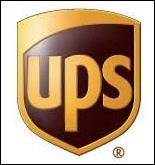 (20:17) You have told us that UPS has launched a new service, My Choice, just in time for the Holidays. Can you tell us more about that? (23:06) This is something that the recipient in a residential situation would arrange for, correct? (23:44) Are there links that you can put in a website to invite customers to use that? How would you recommend that businesses alert their customers that My Choice is available to them? (25:20) What’s the best way to ship perishable goods? (26:50) Would you explain what UPS stores are and how to use them? (30:50) Where can people find out more?